When a child is removed from a home due to abuse, neglect, or because parents are otherwise unable to provide care, Texas Child Protective Services (CPS) has a duty to seek proper living arrangements. Though the laws favor placing the child with a relative, grandparents may be overlooked – even when they are in the best position to provide a suitable home. Failing to consider grandparents’ rights in Texas CPS cases may be a violation of law, but it can also lead to an unsuitable residential environment for the child. While you should discuss the specifics of your case with an experienced Texas grandparents’ rights lawyer, some background information may be useful. Texas authorities may initiate an investigation any time someone reports that a child is subject to abuse or neglect. CPS may also be involved if the parents are unable to provide care or have abandoned the child. If circumstances warrant removal of the child from his or her current living arrangements, CPS must conduct a hearing within 14 days. One of the primary considerations in the proceedings will be where the child will reside while the case is pending and as far into the future as necessary. This means you may have only two weeks to exercise your rights as a grandparent if you want the child to live with you on a temporary or permanent basis. You may request that your grandchild be placed with you while the parent is working to regain custody, but you can choose to go no further with legal proceedings. This strategy is common if you believe your child will be rehabilitated through appropriate treatment, professional care, or other help for the issues that caused your grandchild to be removed in the first place. You may also want to go this route if your child is incarcerated and would provide a proper residential environment upon release. In any CPS case where you intend to support your child in regaining custody, you do not need to file an additional paperwork. Your grandchild will reside with you, keeping him or her out of foster care. Plus, you can still provide testimony or evidence to assist in getting your grandchild back into a safe home with one of both parents. At the same time, you do not have a voice to advocate for the child’s best interests. 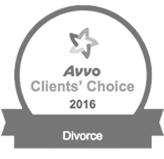 To schedule a consultation with an experienced Austin divorce lawyer, please fill out the form below. Under some circumstances, you may have reason to believe that your grandchild’s parents are a danger or cannot provide a proper home. You can still request that the child be placed with you instead of going into foster care. However, your motivation runs contrary to the interests of the biological parents, so the process is more complicated. You must file a lawsuit termed an “intervention”, in which you seek permanent custody of your grandchild instead of a temporary living arrangement. An intervention involves two primary issues in a CPS case. 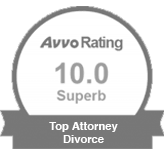 Termination of Parental Rights: Until the parents’ rights are terminated, both have a priority over grandparents for custody, visitation, and decision-making regarding the child. The first step in an intervention is terminating these rights, usually by showing that the child is at risk if the court does not act. Appointment as Managing Conservator: Once you terminate parental rights, you still need to convince CPS that placing the child with you is in his or her best interests. At this stage of the intervention lawsuit, you seek appointment to act as the child’s managing conservator. In some states, this position is referred to as guardianship. The level of proof is significant, as you must show that you have an established relationship with the child and regular, substantial contact. CPS agents often try to fight the appointment of grandparents as managing conservators, arguing that age, physical capabilities, or mental capacity are detrimental to the child’s best interests. They may even raise negative issues that they discovered during a home visit, such as minor injuries or the lack of a family-friendly community. 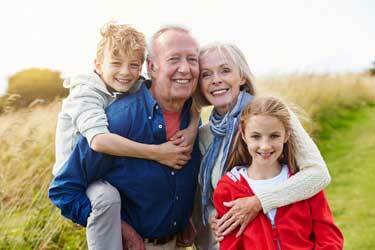 For these reasons, it is essential to have an attorney represent your rights as a grandparent in a CPS case. 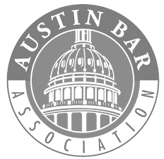 If you would like more information on your rights as a grandparent, please call (512) 320-9126 or go online to schedule a consultation with Ben Carrasco. Our firm is dedicated to protecting grandparents’ rights in CPS cases, as well as in matters related to custody, conservatorship, and visitation. We can review your circumstances, explain your legal options, and develop a strategy that balances your grandchild’s needs with your goals.